Its pale color with green highlights offers a pretty nose of fresh yellow fruit. On the palate, this wine is crispy and sweet. Style ? Dry wines are acidic, lively and fresh while sweet wines are soft and feel round in the mouth. A sweet wine is a naturally sweet wine made from very ripe grapes containing a large amount of sugar. Belonging to the King of France until 1711, the name of the castle was given by the Knight of the Montaigne, counselor at the Bordeaux parliament that owned the field thereafter. 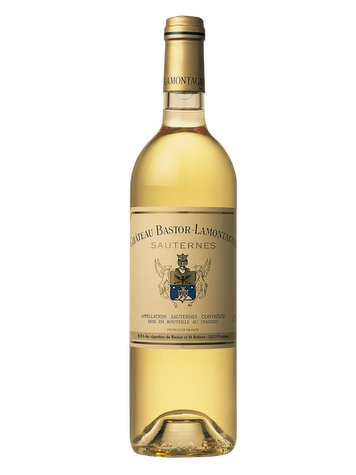 Today, owned by Credit Foncier since 1991, the Château-Bastor Lamontagne is a member of the union of the great wines of Bordeaux and is part of the AOC Sauternes. Terroir: Located in Preignac, on a terrace of the Garonne, this area of 56 hectares based on sand-gravel soils dedicated to the production of sweet wine. This area is conducive to the development of the fungus Botrytis cinerea. It covers the grapes of a "noble rot" to concentrate their sugars and aromas. Viticulture: Harvesting is done manually and in several tries, according to the ripening of the grapes. 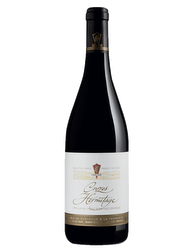 Vinification: Slow and controlled fermentation 3 to 4 weeks before aging in barrels de13 to 18 months depending on the vintage.